Glen Moray has introduced a new Fired Oak expression, a ‘sweeter’ Scotch single malt whisky inspired by the popularity of Bourbon. 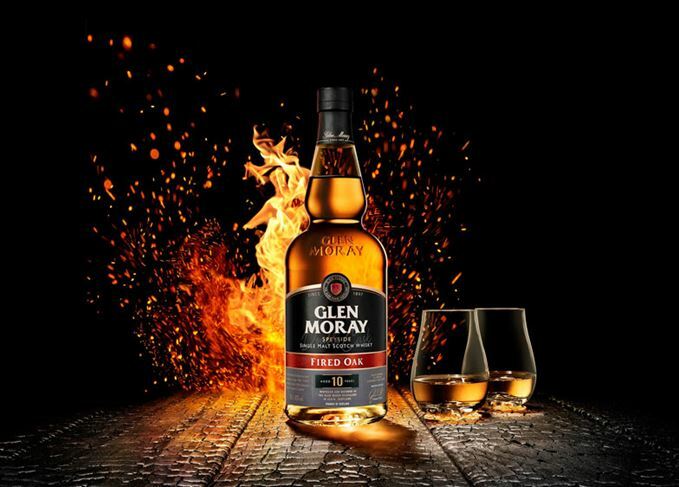 Glen Moray Fired Oak is a 10-year-old whisky matured in ex-Bourbon casks and finished in heavily charred virgin American oak. Described as ‘intensely sweet and smooth’, the whisky is bottled at 40% abv and has notes of ‘dark chocolate… a hint of smokiness and toasted vanilla’. Glen Moray distillery manager Graham Coull said he wanted to create a whisky that drew on Bourbon’s sweetness without overpowering the Speyside distillery’s character. By law, American Bourbon must be matured in charred virgin oak barrels, which impart more intense flavours than a barrel that has been previously used. ‘Fired Oak is all about enhancing flavours rather than adding different character,’ he said. To be released in the UK this month, Glen Moray Fired Oak is designed to appeal to an increasing number of consumers favouring Bourbon. In 2016 more than one million litres of Bourbon, rye and American whiskeys were consumed in the UK, with sales up 7% according to research firm Euromonitor. Glen Moray Fired Oak will be available as part of the distillery’s core range for £39.99. Its release follows that of Glen Moray’s Cider Cask Finish last month, which became the first Scotch matured in ex-cider casks.